The Sacred Tree: Wandering through the snow fog, I stumbled upon a lone tree at the edge of Nowhere housing a murder of crows. It had to be sacred. 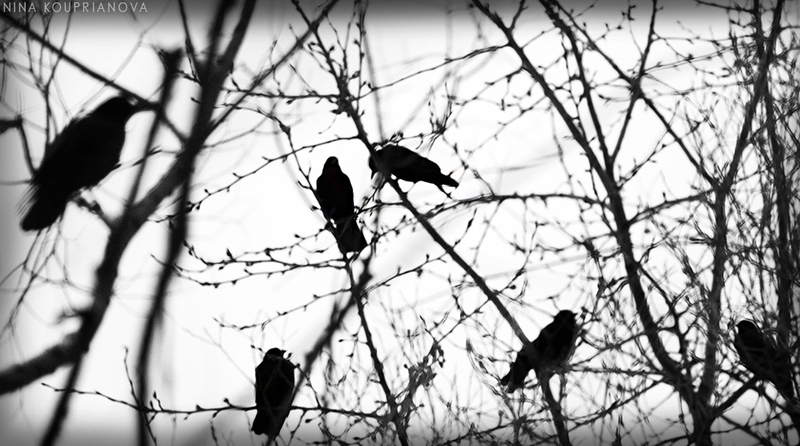 Six Crows: Nearby--another murder. I told them to pose, and they did.